Architects and engineers are having greater input through the constructional steelwork fabrication process on ‘higher-end’ projects says structural components specialist Jamestown. 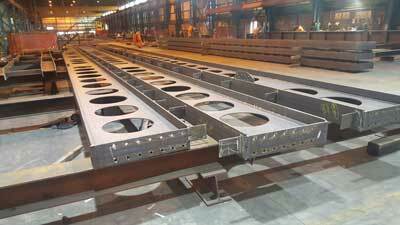 The visual quality of steelwork is also increasingly important. He adds that it is not unusual for an architect to demand a particular level of finish on a welded structure or member, which is above any of the common NSSS requirements. “Jamestown has embraced a number of projects of this type and met and exceeded client expectations,” said Mr Fortune. Jamestown stresses the importance of continued support of Steel for Life, the BCSA and New Steel Construction. “This comes from the underlying belief that development of the steel market is good for the industry and good for the economies of both Ireland and the UK,” says Mr Creegan. “With continued support from shareholders, with focus on innovation and process improvement and with ongoing investment Jamestown will continue to develop and grow. Since moving to its new premises Jamestown has continued to invest heavily in plant and equipment. 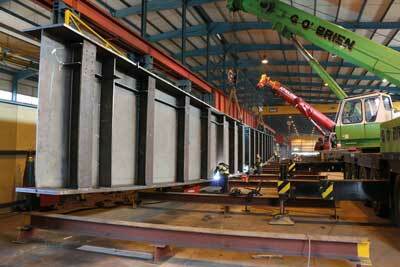 Last year saw the arrival of another new long-bed Voortman plasma cutter, for the manufacture of webs and flanges. This allows Jamestown to respond to even tighter quality controls and shorter lead times in the manufacture of plate girder and box girder sections. CNC drilling & milling equipment has been purchased and this too will help to keep Jamestown at the leading edge of the industry, says Jamestown’s Production Manager Mr Aidan Clear. 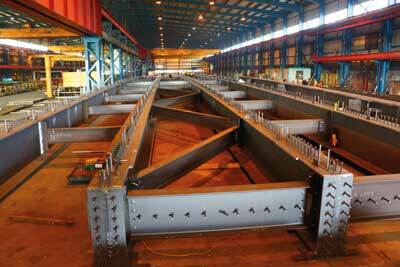 “We are currently trialling a number of pieces of equipment which will aid in the fast inspection of finished beams, either in the final inspection stage or actually in the pre-welding stage to ensure correct fabrication set-out,” he said. Jamestown is continually reviewing its corporate structure to ensure the best service to clients, architects, engineers and fabricators. The company sees its success as based on completing projects to client and engineers specification, underpinned by the continual review of capability and process. Jamestown says the amount of repeat business secured from clients is testament to this fact. Other than very localised one-off projects, Jamestown has carried out repeat business for all its clients. 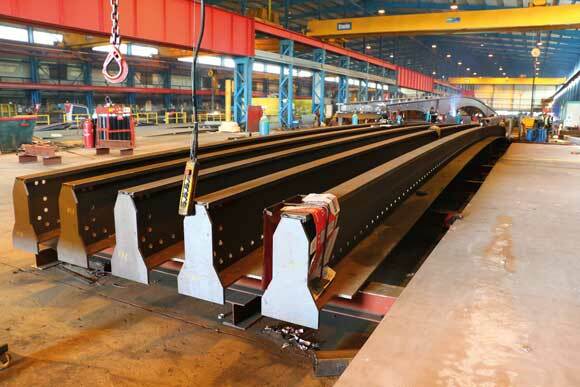 “We are at present fabricating almost 3000 tonnes of plate girders for an extremely high-end project in central London, whilst concurrently working on 1500 tonnes of heavy complex asymmetric plate girders for a significant UK fabricator working in Canary Wharf in London,” says Mr Creegan.